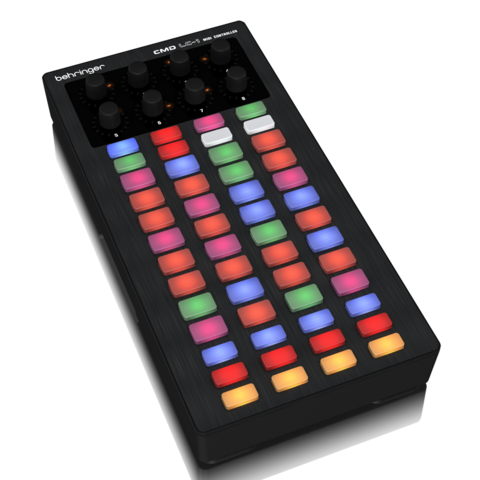 The CMD LC-1 works well as standalone controller for a wide range of DJ and production software including Native Instruments Traktor*, Serato Scratch Live*, Ableton Live* and any other MIDI-compatible programs. 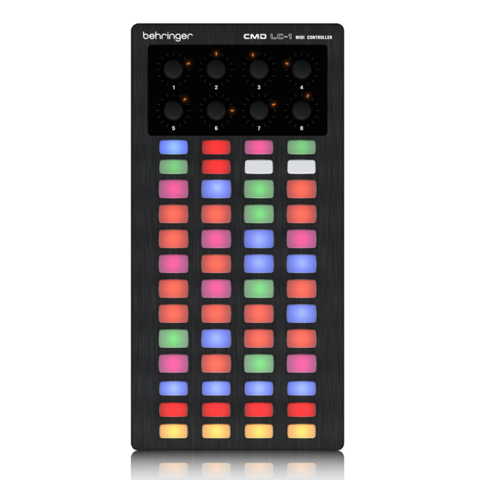 Whether you’re a DJ, producer, recording engineer, or hobbyist, the CMD LC-1 makes getting your hands into your software easy and affordable. 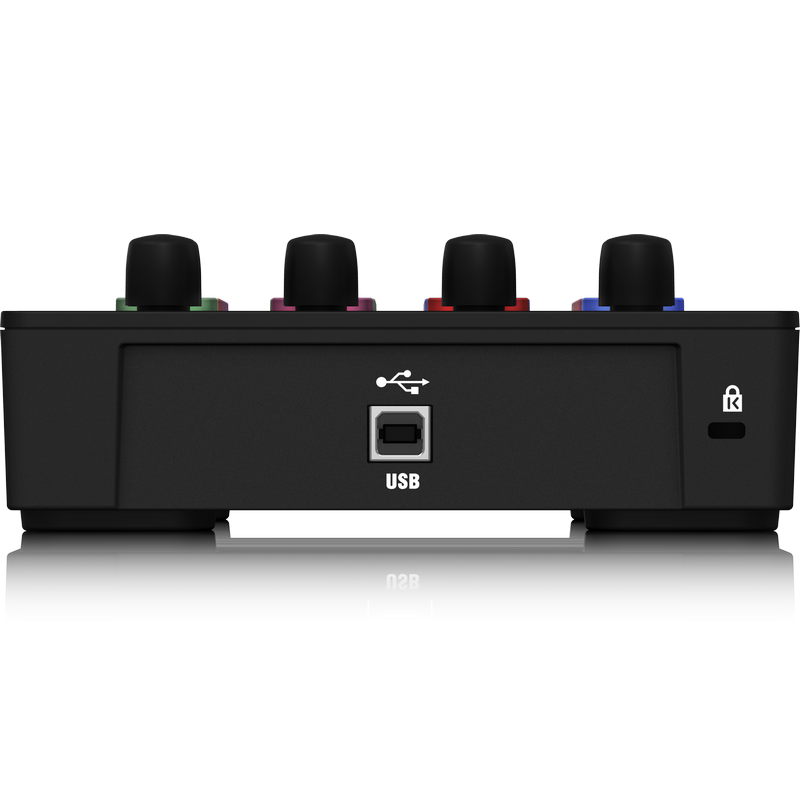 Class-compliant MIDI protocol enables right out-of-the-box, plug-and-play operation with any MIDI software – no additional drivers required. 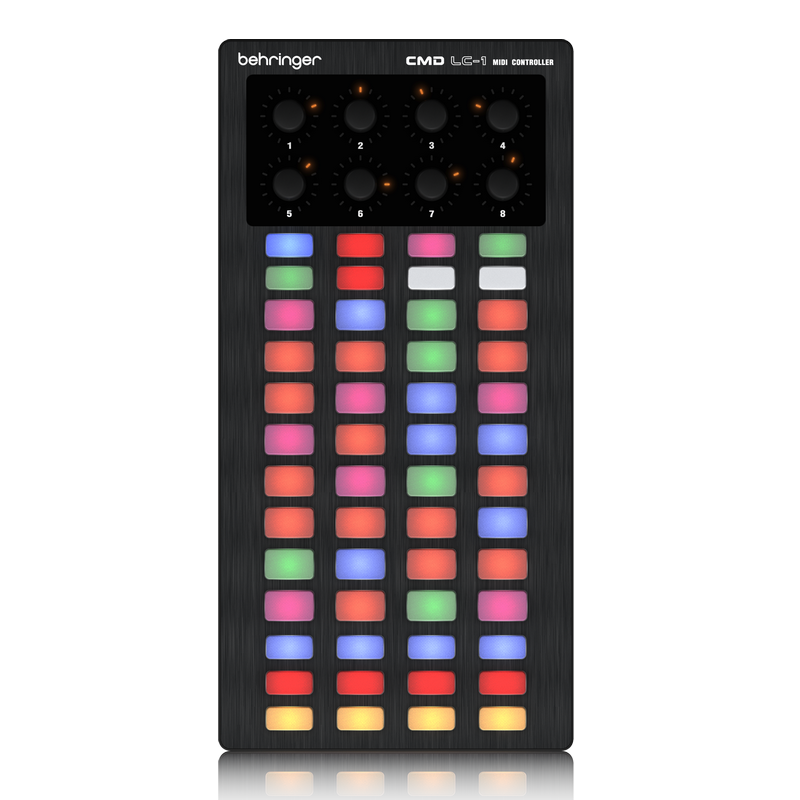 Big enough to be taken seriously, but small enough to fit easily into a backpack or messenger bag, the CMD LC-1's modular design provides seamless integration with any of our other CMD controllers. The LC-1 is a clip-triggering machine. 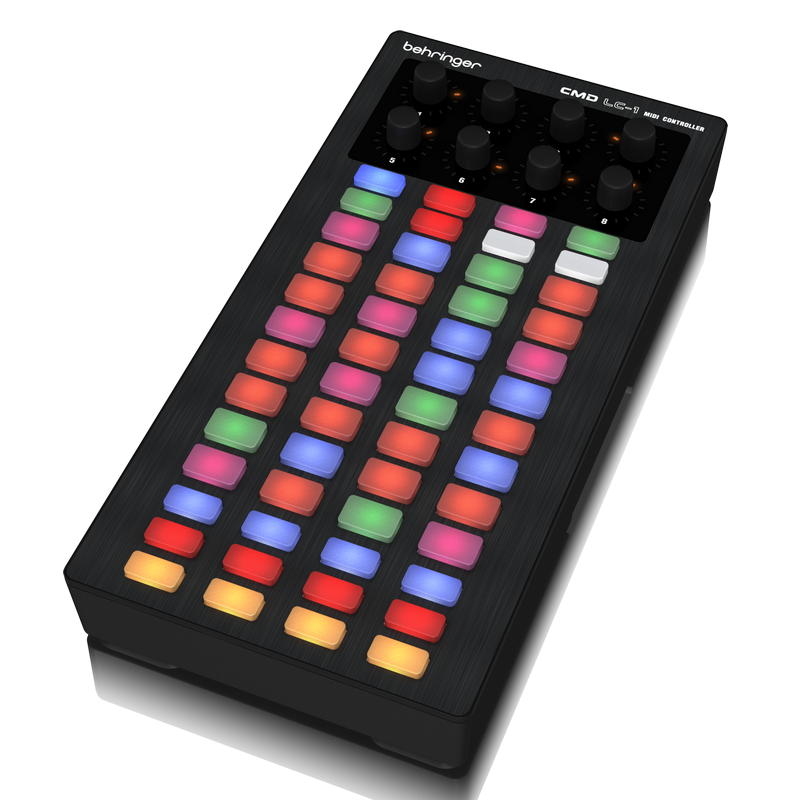 The clip section has 32 buttons that are backlit in multiple colors and respond to MIDI feedback. 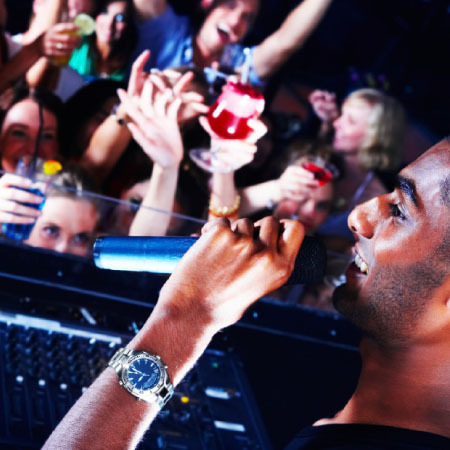 But Live isn’t just about clips; it’s also about effects. So there’s an effects control section above the clip area with 8 encoders and 8 buttons. Below the clip area there are also buttons for channel mute, solo and record. 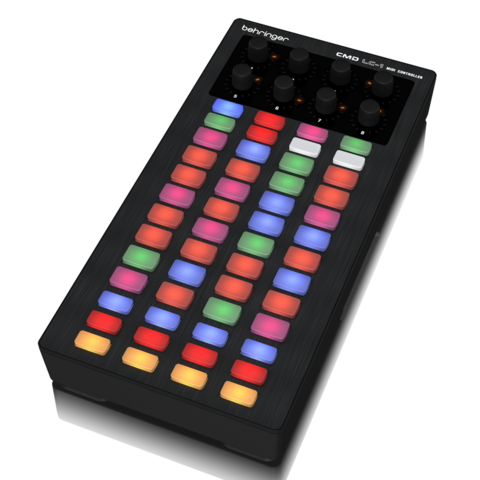 And remember that at its heart, the LC-1 is an array of assignable buttons and knobs. 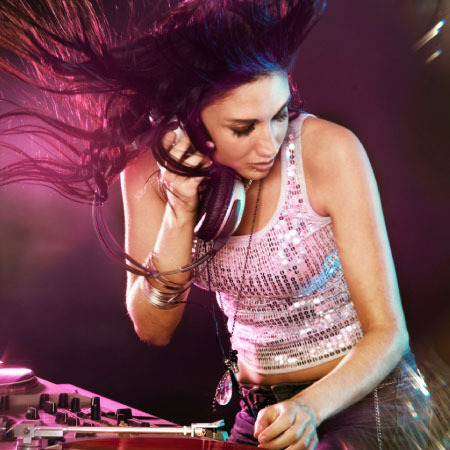 So, why not use it to access cue points in Virtual DJ or Traktor? 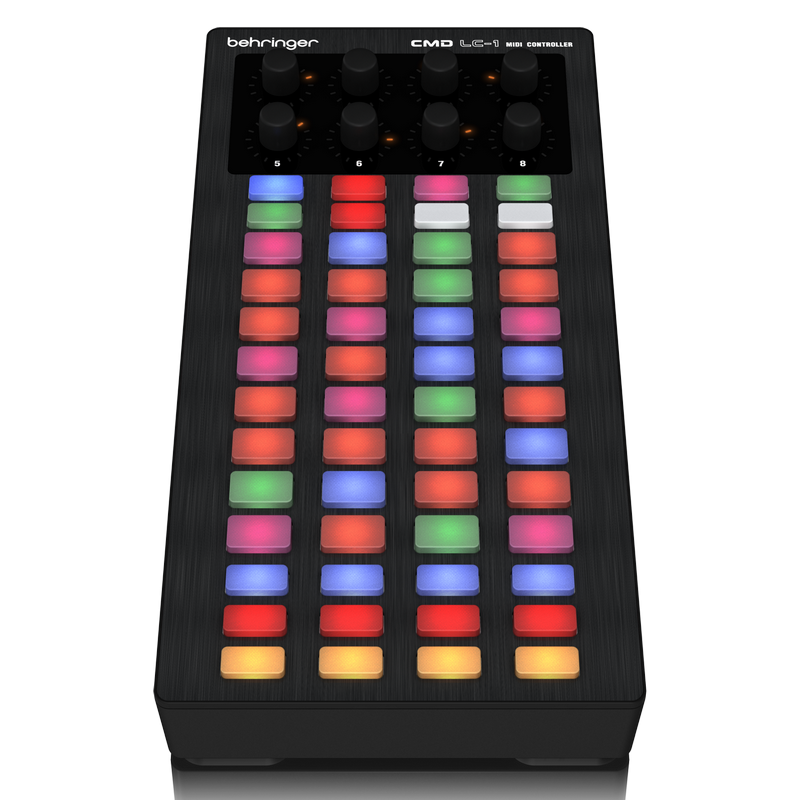 Or with a step sequencer? The LC-1 can handle all this and more with ease. 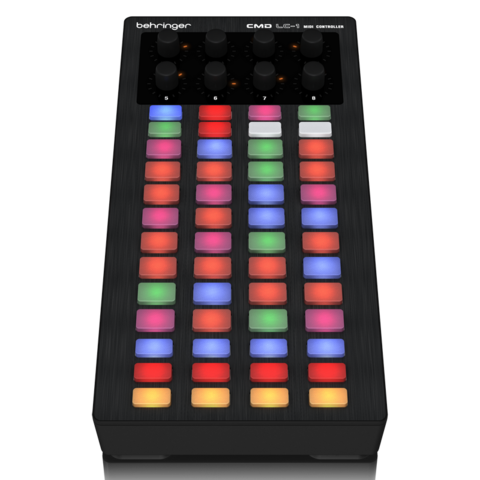 On its own, the LC-1 makes a great controller for clip management, as well as a great addition to any Serato ScratchLive user’s Bridge-based setup – but thanks to its modular design, the LC-1 can be paired with other CMD modules to create your dream DJ rig! 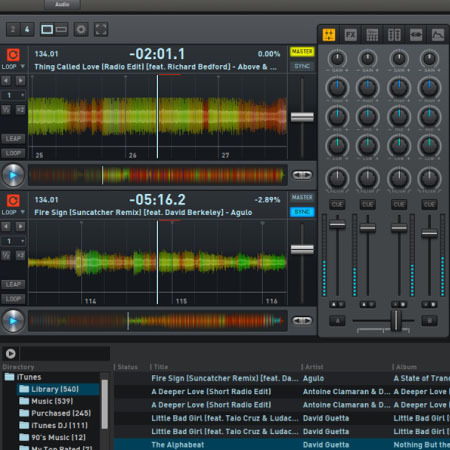 To get you up and running right out-of-the-box, we've included a free download voucher for Image-Line's Deckadance 2 LE DJ software, which adds tremendous versatility and seamlessly integrates with a wide range of DAW applications. 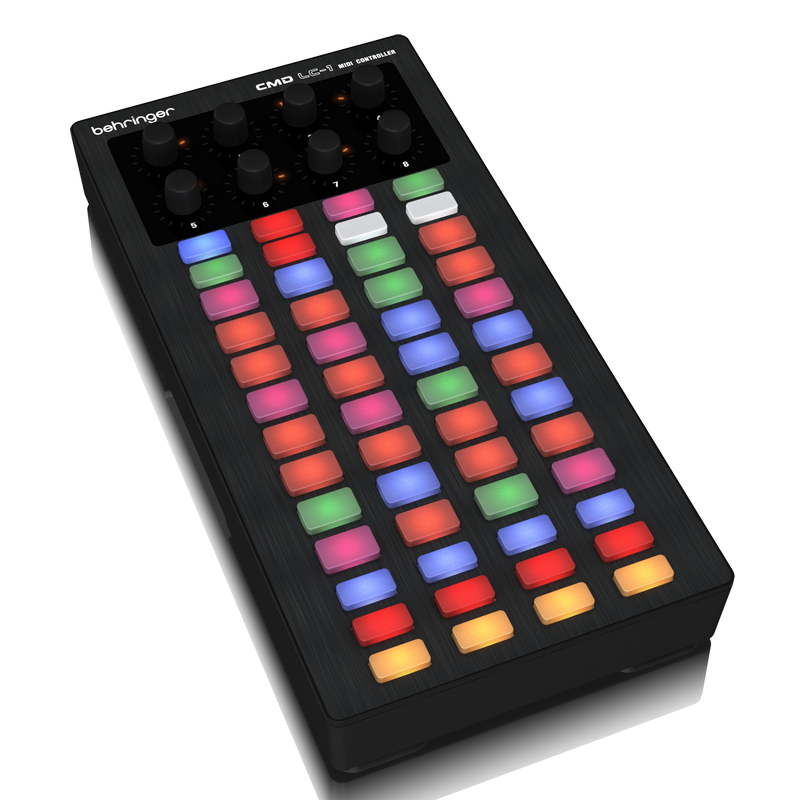 Whether used in standalone mode or as part of a custom CMD setup, the DJ CONTROLLER CMD LC-1 elevates DJ production and beat making to an entirely new level, providing seamless software navigation and unparalleled control – right at your fingertips. 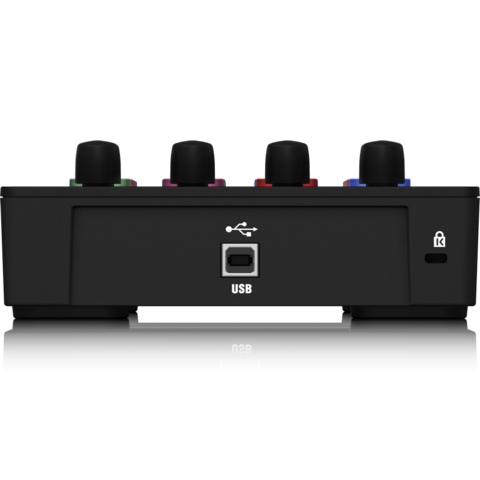 Add to this a super-slick modular design that lets you grow your workstation to include exactly the control elements your art requires. 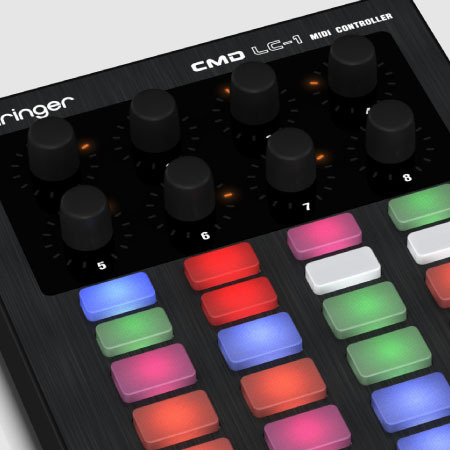 Check out the amazing DJ CONTROLLER CMD LC-1 at your BEHRINGER dealer, or order yours online today! The possibilities are endless.